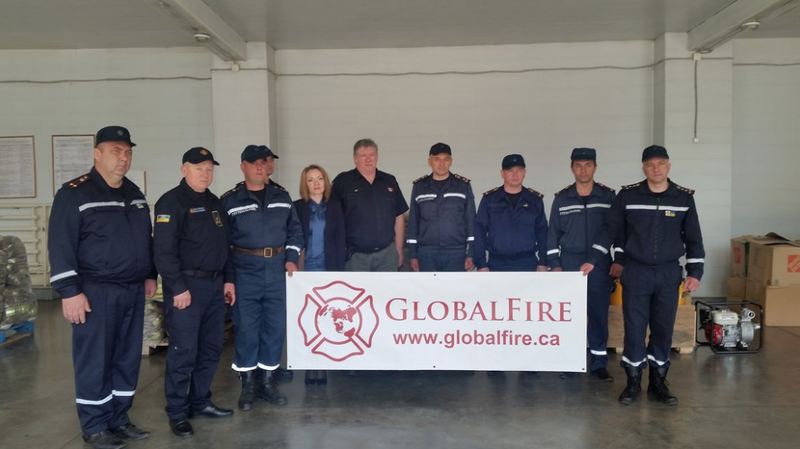 GlobalFire sent several shipments of fire, rescue and emergency medical supplies to the Ukraine. This was distributed to many fire stations around the Odessa region. GlobalFire's team travelled to the city of Bahia, Ecuador, to distribute Rainfresh Water Purification Units to families in need. Three hundred families received Rainfresh units, providing them with access to clean water at the household level. GlobalFire, GlobalMedic and The Radcliffe Foundation, a charitable organization founded by Canadian business executive and philanthropist Frank Guistra, have partnered to help provide aid to victims of the Fort McMurray wildfires.